Jordan Brand is looking to start 2013 with a bang and they are expected to make an immediate impact in the sneaker market with the release of a stunning retro kick. 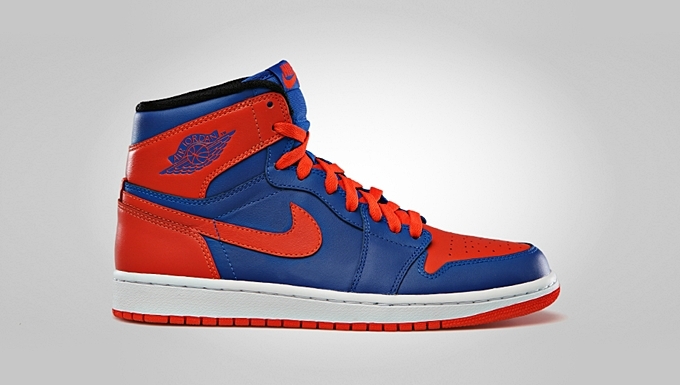 One of the must-watch things this year from JB is the role of the “Nike Air” branding in 2013 Air Jordan Releases. And like what was expected JB gave us a quick preview of things to come this year with the Air Jordan 1 Retro High OG “Knicks” edition. The shoe features the Air Jordan Wings logo and the interesting part with the kick is the Nike Air branding on the tongue. The shoe looks very vibrant with its color combination so make sure to spice up your New Year with this eye-catching kick!